To date, there have been 27 women elected to the Legislative Assembly of Prince Edward Island since its establishment in 1893. That number is little over two per cent of the 1,189 members elected to serve in the House from 1873 to the present. It was not until 1921 that women on Prince Edward Island had the right to vote, and it would take 30 years before a woman -- Hilda Ramsay of Indian River -- would put her name on the ballot to campaign for a seat in the Legislative Assembly. Ramsay was a candidate for the Co-operative Commonwealth Federation (CCF) in the district of 3rd Prince and was defeated by Liberal candidate Frank L. MacNutt. Liberal Jean Canfield, in 1970, was that woman, elected the Member of the Legislative Assembly (MLA) for the district of 1st Queens in the May 11, 1970, general election. She originally stood for office in the 1966 provincial election in 1st Queens but failed in her election big, losing to incumbent Frank Myers. She would again make history in 1972 by becoming Prince Edward Island’s first woman cabinet minister, appointed the role of minister without a portfolio and Minister Responsible for the PEI Housing Authority, a position she held from Oct. 10, 1972, to May 2, 1974. Canfield would be re-elected in 1974 and, this time, would not be the lone woman MLA. She would take another run at keeping her seat in 1979, but was defeated. In that election, Catherine Callbeck, who would later become the first woman to serve as Premier of Prince Edward Island and the first woman in Canada elected Premier, won the seat for the Liberals in the district of 4th Prince. Callbeck would go on to serve as Minister of Health and Minister of Social Services from May 2, 1974, to April 27, 1978. In the years that followed, many women would put their names forward, offering in districts across Prince Edward Island to represent the various political parties. Many were unsuccessful in their bid to sit as a MLA while only 25 women would go on to win seats. 1888 – Unmarried women in Charlottetown win the right to vote in municipal elections. 1892 – Unmarried women in Summerside win the right to vote in municipal elections. 1899 – Women win the right to sit on school boards in Charlottetown and Summerside. 1917 – Women with close relatives in the armed forces win the right to vote in federal elections. 1918 – Women over the age of 21 who are Canadian citizens win the right to vote in federal elections, with the exception of Indigenous women. 1922 – Island women win the right to vote in provincial elections, with the exception of Indigenous women. 1929 – British Privy Council declares women to be “persons” able to serve in the Senate. 1951 – Hilda Ramsay (CCF) from Indian River is the first woman candidate to campaign for a seat in the provincial legislature. 1955 – Elsie Inman is the first Island woman appointed to the Senate. 1960 – Indigenous people living on reserve win the right to vote in federal and provincial elections without losing their registered status. 1960 – Mary Bernard is the first woman elected chief of Lennox Island First Nation. 1961 – Margaret Mary Smith MacDonald (PC) is the first PEI woman, as well as the first woman east of Ottawa, elected to the House of Commons. To this date, only two other PEI women have followed in her footsteps. 1968 – Dorothy Corrigan is the first woman elected mayor of Charlottetown. Province House in 1970; Jean Canfield was elected as the first woman to sit in the Legislative Assembly that year. ​1970 – Jean Canfield (Liberal) is the first PEI woman elected to the Legislative Assembly. 1972 – Jean Canfield (Liberal) is the first woman appointed to cabinet, responsible for the PEI Housing Authority. 1979 - Hon. Marion L. Reid becomes the first woman to serve as Deputy Speaker in PEI. 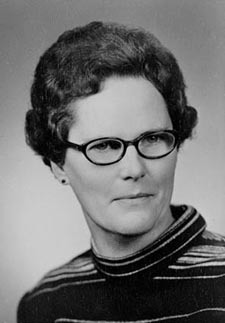 1979 – Frances Perry is the first woman elected mayor of Summerside. 1983 – Hon. Marion L. Reid (PC) is the first woman in PEI to hold the office of Speaker of the Legislative Assembly. 1990 – Pat Mella (PC) is the first woman in PEI elected leader of a provincial political party. 1990 – Hon. Marion L. Reid (PC) is the first women Lieutenant Governor for PEI. 1993 – Catherine Callbeck (Liberal) is the first woman in PEI and Canada elected premier. 1993 – Pat Mella (PC) is the first woman in PEI to hold the position of leader of the Official Opposition. 2004 – Lennox Island First Nations elects an all woman band council that includes Chief Darlene Bernard, Emily Bernard, Tabatha Thomas and Mary Moore Phillips. 2006 – Olive Crane (PC) wins a byelection to bring the percentage of women in the PEI legislature to a record-breaking 26 per cent. 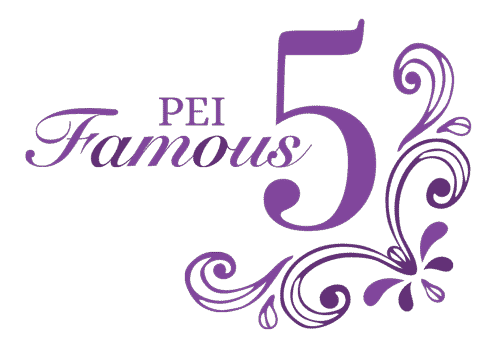 2008 – One third of PEI candidates in the 2008 federal election are women. Gail Shea (PC) becomes the third women MP in PEI history. 2010 – Two of four political parties are led by women, including Olive Crane as leader of the PC Party and Sharon Labchuk as leader of the Green Party. 2017 – Antoinette Perry is the first Acadian woman appointed Lieutenant Governor of PEI. 2017 – Hannah Bell is the first woman Green Party member elected to the Legislative Assembly. None of the MPs representing Prince Edward Island are women. 18.52 per cent, or five of 27, PEI MLAs are women. Only one appointed Senator is a woman. Three of the four members of the Lennox Island Band Council are women, including Chief Matilda Ramjattan. There are no women on the Abegweit First Nation Band Council. Three woman – Deputy Mayor Norma McColeman, Carrie Adams, Barb Ramsay -- sit on Summerside City Council. Two women -- Alanna Jankov and Julie McCabb -- sit on Charlottetown City Council. Two women – Family and Human Services Minister Tina Mundy and Transportation, Infrastructure and Energy Minister and Minister Responsible for the Status of Women Paula Biggar – are in cabinet. None of the four major political parties on PEI – Liberals, Progressive Conservatives, Green Party and New Democratic Party – have women leaders.